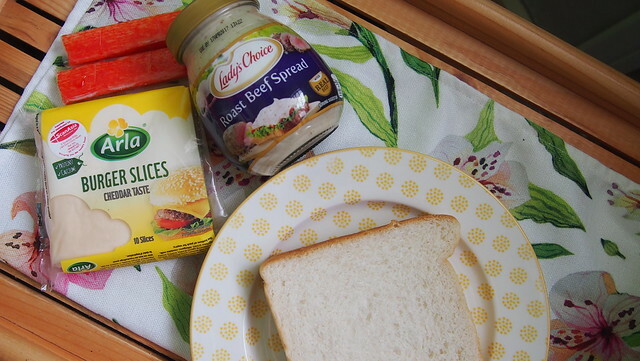 Simple Sandwich Recipes With The New Lady's Choice Roast Beef and Chicken BBQ Spreads! Preparing anything in the kitchen takes me a lot of time, that's why I like quick, easy, and simple recipes and meals! Lately, I've been running out of ideas for Y and R's baon and breakfast. We always eat in the car on the way to school (it's not ideal but I like to leave early because I don't want to get stuck in traffic!) 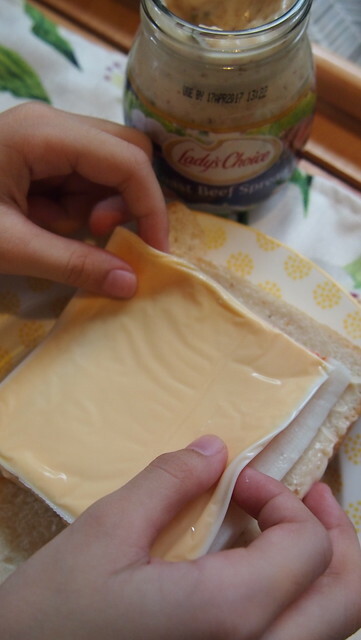 and I often prepare sandwiches or anything that's easy hold and not messy. 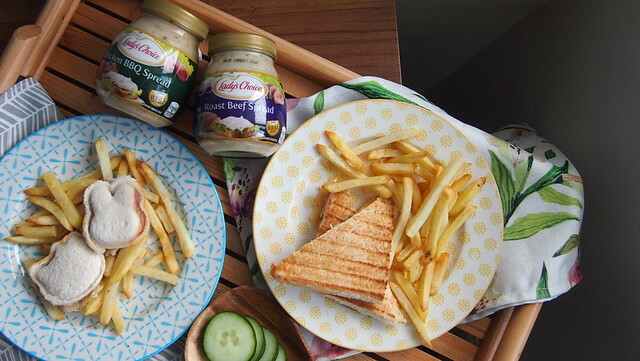 I'm so happy to discover and share to you Lady's Choice new meaty and delicious spreads, the Roast Beef Spread and Chicken BBQ Spread! 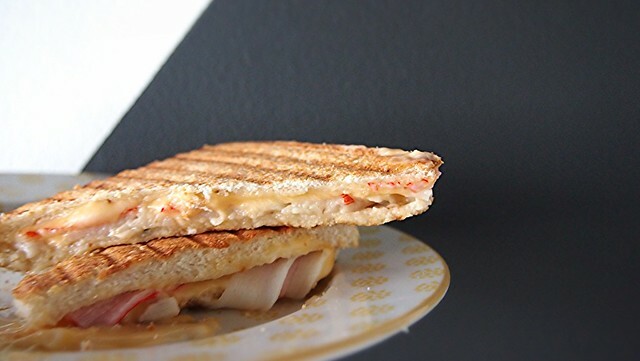 The two new variants are both creamy with real bits of chicken and beef. 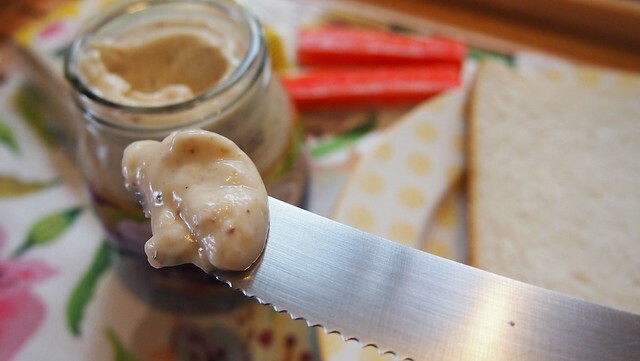 The Chicken BBQ Spread has a smoky and savoury flavor while the Roast Beef Spread has a sweet note. 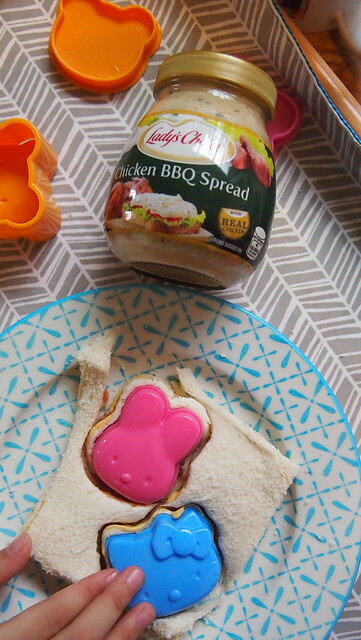 I made two easy simple sandwiches with Y which she helped me prepared and assembled. 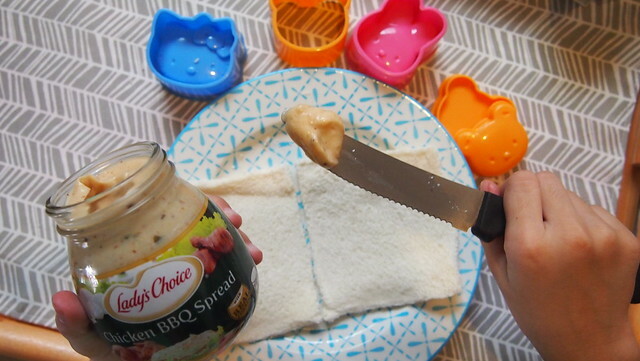 I made her taste each of the spread and she chose the Chicken BBQ Spread so that means the Roast Beef Spread would be my palaman! 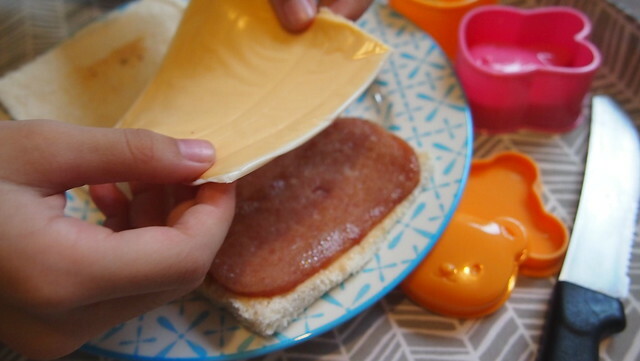 Y is a very picky eater so for her sandwich I made sure to prepare what she likes to go with her sandwich: SPAM and cheese! 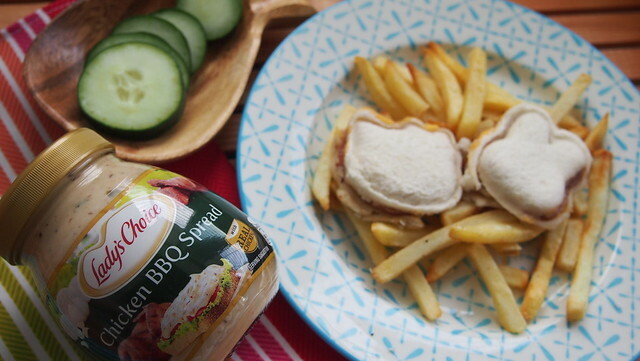 The Lady's Choice Chicken BBQ Spread gave her usual sandwich an extra oomph! 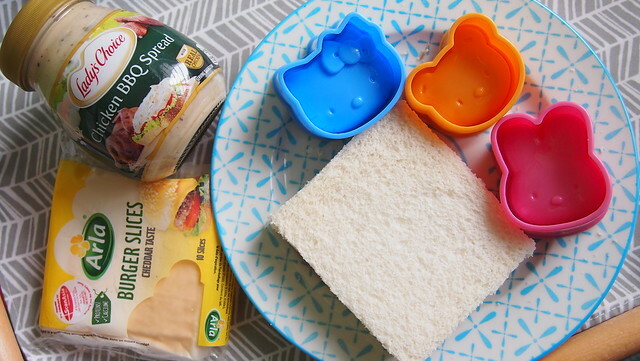 She helped me made the sandwich, she flattened the bread, put the cheese slice and cut them into these little shapes. This activity turned into a little mother-daughter bonding which we both enjoyed doing! 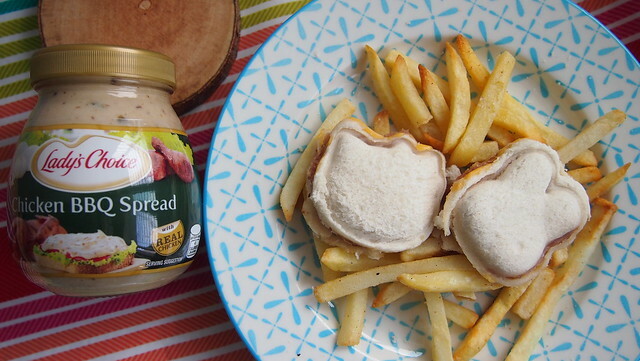 Spam with Chicken BBQ Sandwich with Cheese on a bed of airfried french fries! She said it was yummy! She finished everything! Success! Making this again on Friday for her and R's breakfast! R wasn't able to help nor eat because he was napping heehee! 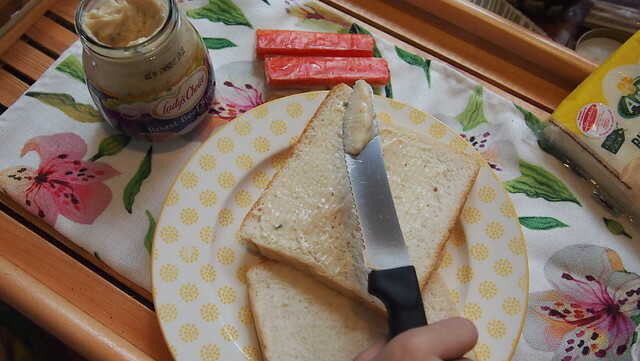 When I had a taste of the Roast Beef Spread, the sweetness reminds me of mangoes and the first thing I thought of putting in my sandwich was crabstick and so I did! Of course may cheese pa din! 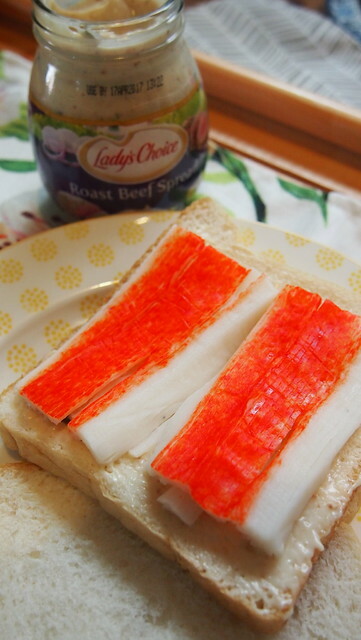 Spread the Roast Beef spread thinly, then put the crabstick on top. Noms! I'll add lettuce or cucumber the next time to make it a little "healthier". 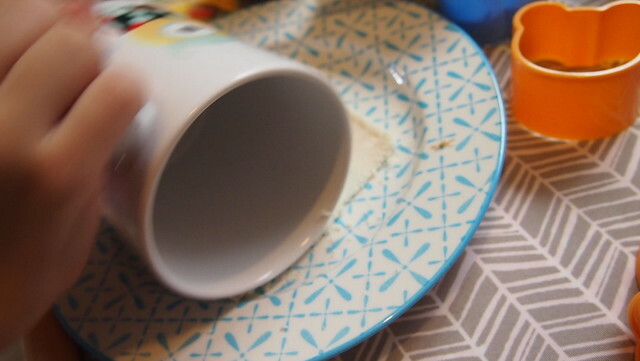 Easy peasy and very simple! No cooking involved (which is a major plus! I only toasted the SPAM.) and only a few ingredients! That's two sandwiches to add to our repertoire and my picky eater likes it and that's make me the happiest! I am sure the spreads will go well with other palaman and I can't wait to experiment more! 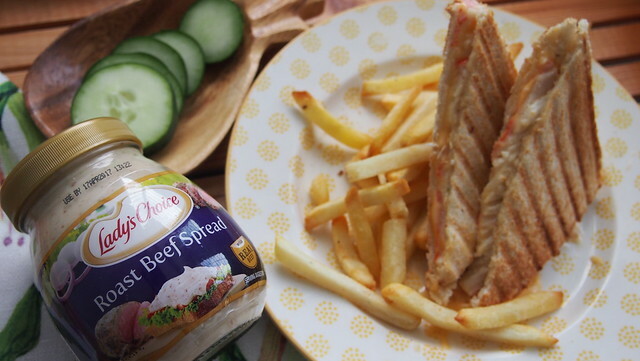 The new Lady's Choice Roast Beef Spread and Chicken BBQ Spread are now available at your local groceries!